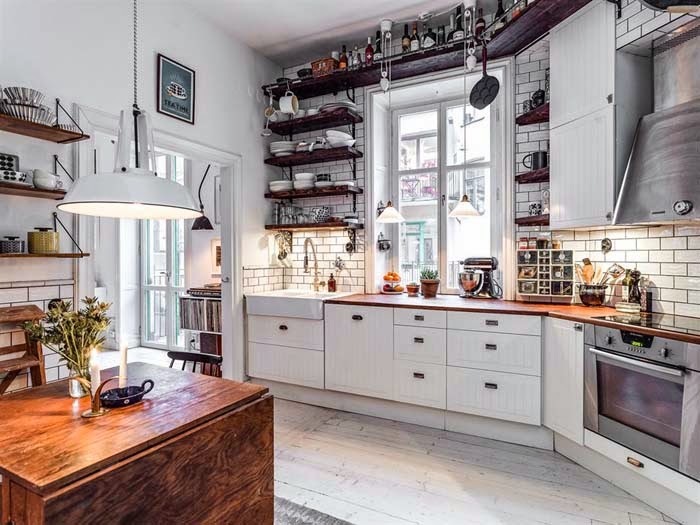 Stumbled upon this cozy Swedish apartment for sale in Stockholm recently that has us wishing we had buildings like this here. A perfect layout on two levels with a beautifully planned kitchen, large dining and living rooms, and a bedroom overlooking the rooftops. Love the way it's decorated too. Let's take a look! Love the mix in these two rooms. 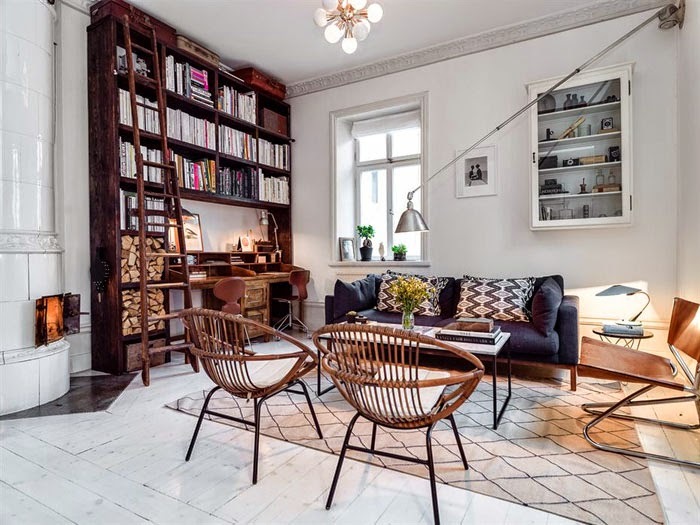 The rattan chairs, marble coffee table and wood book shelves. 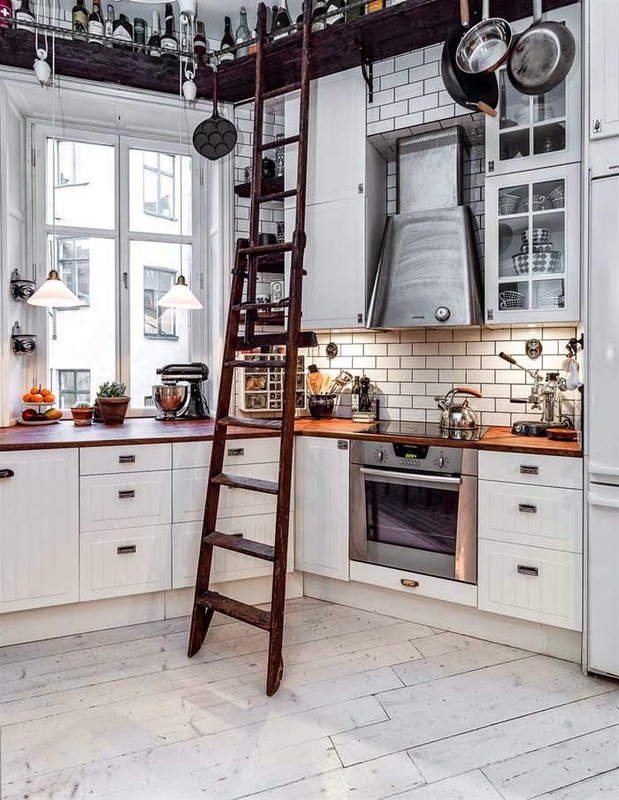 The subway tiles surround the kitchen and the long ladder adds old time character. The kitchen opens up into the entryway on the other side, making it feel even larger. A nice mix of textures in the bedroom from the graphic rug, leather chair and bedding. So beautiful. 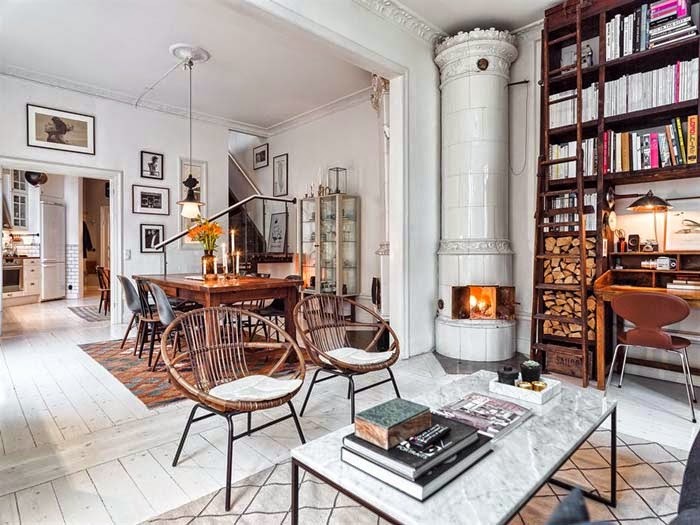 I love Swedish fireplaces and the sense they have of light and space. 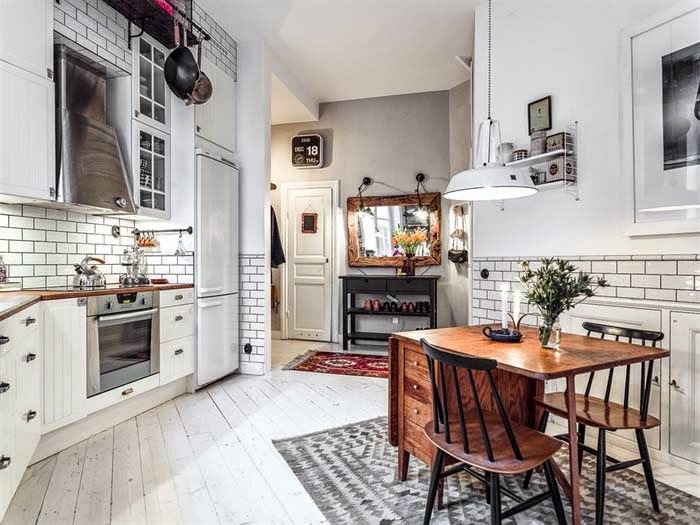 Swedish apartments are the best! I moved from Sweden to the US in 1991 and I really miss them. I agree - wish there were buildings like that here! That kitchen is to die for. Swoon! I LOVE this home! Every nook is filled with interesting things and wonderful textures and detail. Love every single photo idea!!!! Ugh...nope not jealous at all... 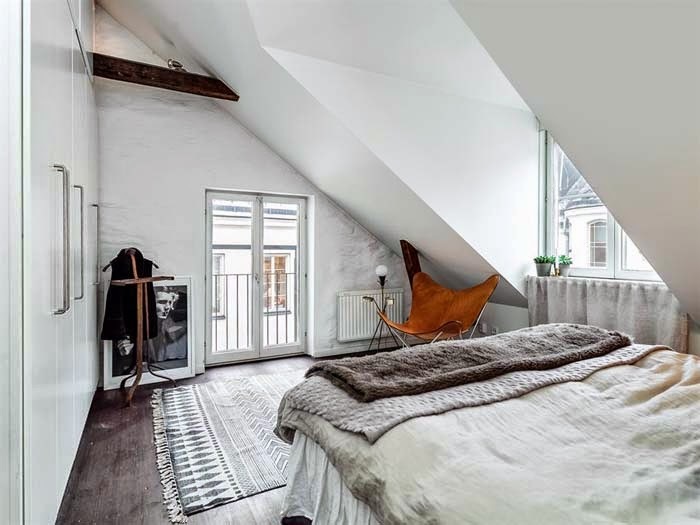 I love the way Scandinavian windows have really deep internal window ledges (probably cause the walls are so thick). They are just perfect for house plants, books etc and frame the rooms so beautifully.